Our white 5 amp socket is the perfect choice for a minimalist space, where you want your sockets and switches to blend seamlessly into the background. 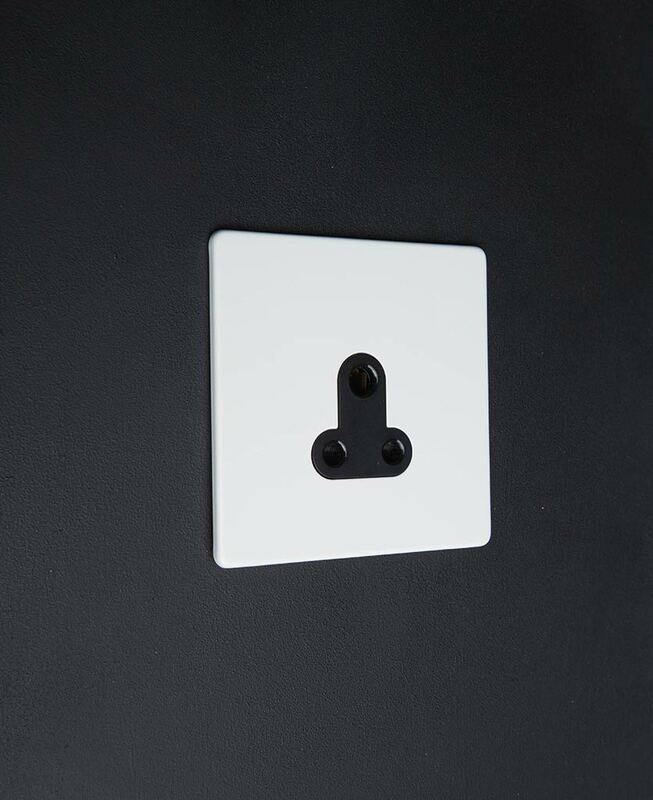 Featuring a white painted steel plate with matching white, or contrasting black inserts, this socket may be simple, but it’s definitely beautiful. 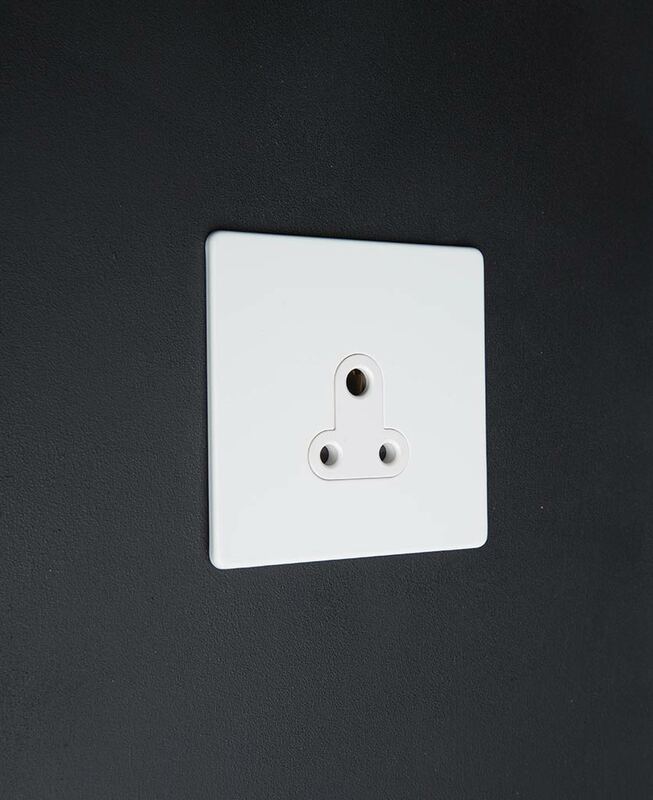 With concealed fittings and a sleek design, this switch fits perfectly into your no-fuss interiors. If you’re tired of ubiquitous looking switches, look no further than our designer white 5 amp sockets. Made from steel, these satin white sockets have a gorgeous industrial edge, that complements your contemporary spaces beautifully. These minimalist sockets fit seamlessly into larger rooms. Use 5 amp sockets in bars, hotels and restaurants where you want to control multiple lamps from just one switch.